While now almost human in appearance, the mental instability that expresses itself instantly shows that we seem as far as ever from a true clone. I've never been on a project with so difficult a subject. It's as if the original subject simply refuses to be copied. 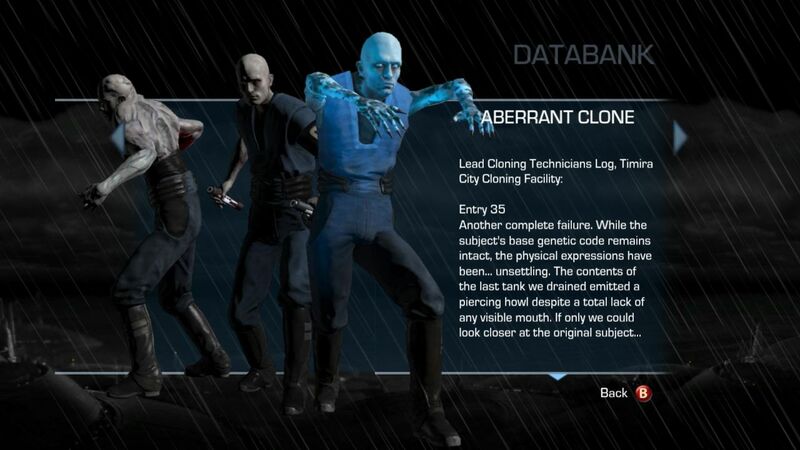 A single test subject seems to be showing remarkable stability and progress, as well as two relatively stable breeds of greatly modified clones. We are still left with hundreds upon hundreds of abject failures. while they no longer try to kill anything that comes near them, they are nearly insensible. That hideous meaningless gibbering that comes from their cells at all hours will haunt me for some time, I have no doubt. is the pride of those families. 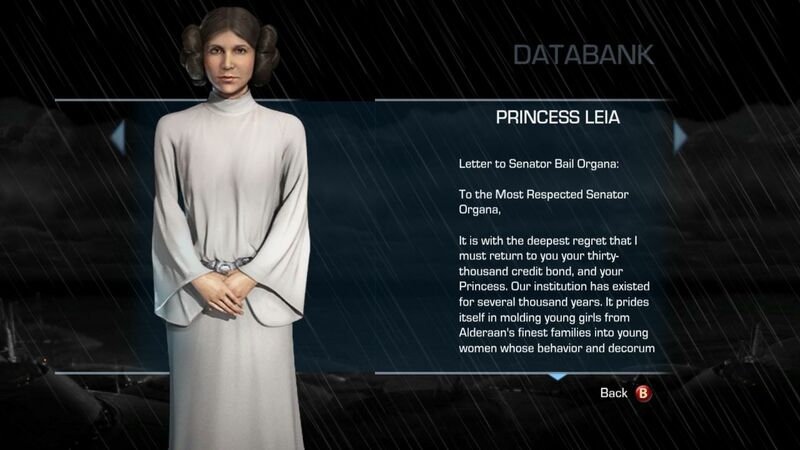 However, we believe that Princess Leia is incapable of conforming to our standards. this is the unanimous decision of the Board of Directors, and was arrived at due to three separate infractions. a) The Princess led a sit-in rebellion of students during breakfast, when they were served bottled juice instead of freshly squeezed. b) The Princess re-programmed the PA system to play the Anthem of the Republic (in direct violation of Imperial Edict 2.33b) during assembly. c) The Princess sliced a secure mainframe and swapped every reference to Emperor Palpatine with Emperor... well, let us just say that it is a word seven year old Princesses should not know. Staggering progress. His psychological profile shows not only that he has absorbed the memory flashes, but that he is actually compartmentalizing and forming new memories and can hold the imprints as separate from his own experience. 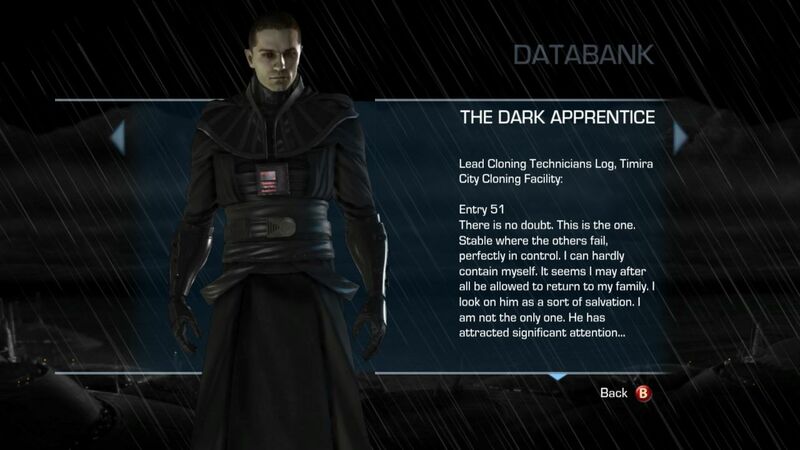 At the request of Lord Vader himself, I am preparing the formal report for the successful completion. There is to be a formal celebration, now that my report has been finished and the project formally declared a success. I'm writing this as fast as I can, as the gentlemen who are here to pack my personal belongings are in a hurry to ship my effects home, and I wish this journal to go with them. I've never been much on parties, but I will smile and accept the accolades, all the while knowing that a transport shuttle home will be arriving before the day is out. Document found in the garbage processing facilities on KAMINO STATION X after the Battle of Kamino.